Visit our Leicester drum shop for some of the best UK prices on Sabian cymbals. The Dye House Drum Shop is a Main Dealer for Sabian cymbals. We stock a range of mostly AAX, XS20 and B8 models in various weights, but can supply items from any of their product lines to order. Give Lee a call on 07976 16 16 26 to fix a visit. Any Sabian cymbals not listed we can order and supply at the best UK price. 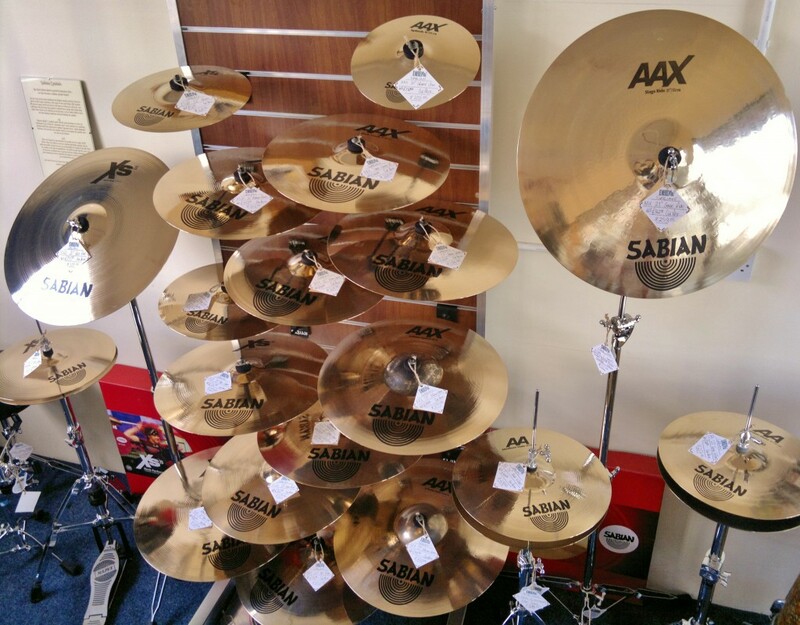 Our Sabian AAX prices are 25% off RRP, so you can save money on mail order delivery costs and credit card charges; compare prospective cymbals with your current set up and benefit from another experienced pair of ears before you buy, AND still get a great deal at the end of it! 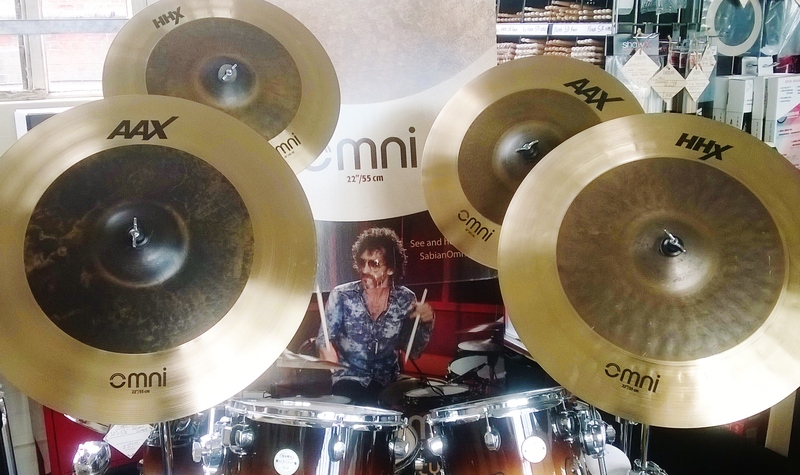 Full range of the new Sabian Omni crash/ride series – in stock and on demo. Dye House Drum Works: Visit our Leicester drum shop for some of the best UK prices on Sabian Cymbals!